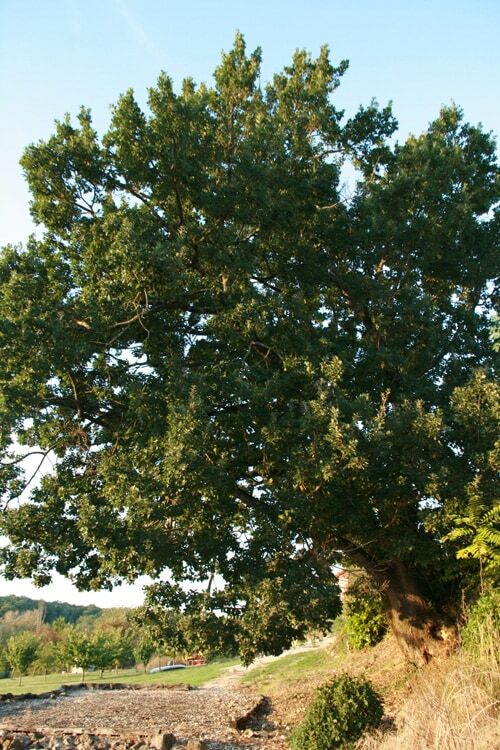 The oak tree has been worshipped by many different civilisations throughout time. Yet its symbolism seems to transcend them all. It stands for strength, wisdom, protection, success, stability, healing, fertility, longevity, health, and good luck – quite a list. It has been, and still is, a sacred tree to many. These virtues not only appeal to us but complement yoga, which can also transcend boundaries and, in doing so, touch anybody who wishes to experience it. The yoga platform at Chêne Yoga is built beside the mighty oak in the middle of the grounds, creating a meaningful backdrop to each yoga session.